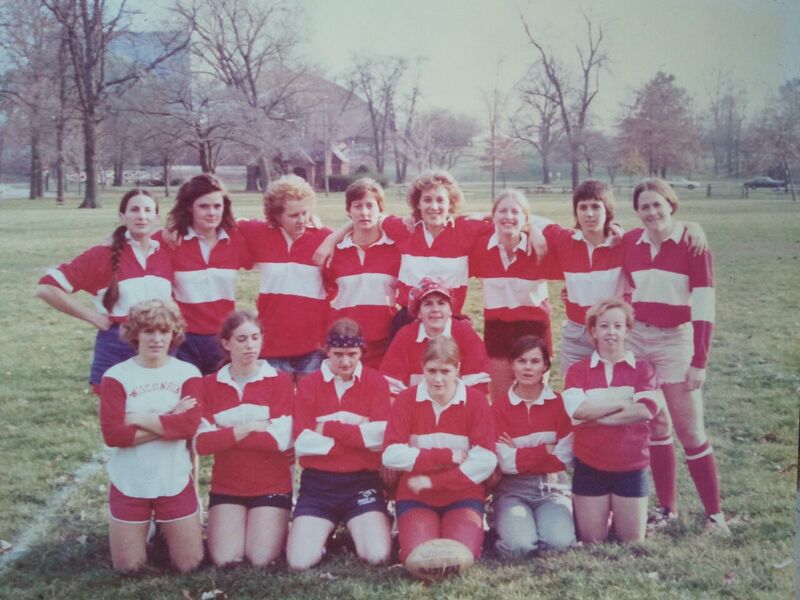 The first-ever team photo of the Wisconsin Women’s Rugby Football Club taken at a tournament in Indiana in the spring of 1976. Thank you to alumni Nancy “Red” Thorne Cahill for sharing this with our team. The Wisconsin Women’s Rugby team was founded in 1975 with a mix of players from the city of Madison and the University of Wisconsin-Madison. Now over four decades later, the WWRFC has built a strong tradition of success in games and a stronger tradition of camaraderie and community off the pitch. As the club thrived, our little sister team – the University of Wisconsin-Madison Women’s RFC – also grew to find its own success on the UW campus. 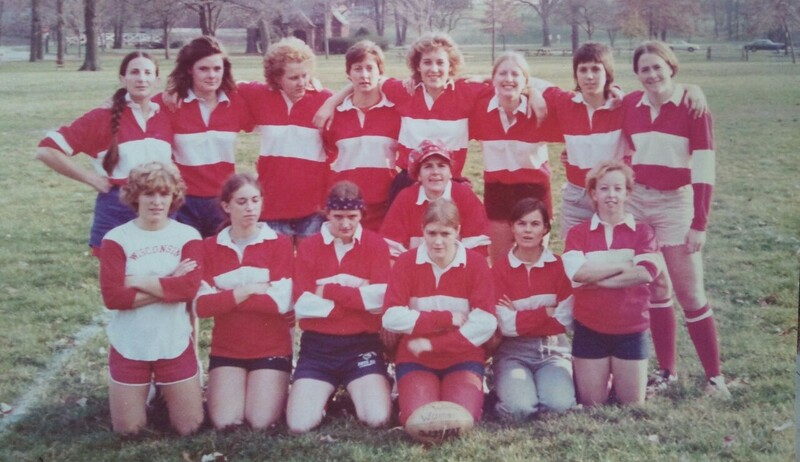 The WWRFC’s history is rich with a diverse mix of women from all backgrounds and counts several players who excelled beyond our club on to Wisconsin, Midwest and USA select teams, including representation at multiple Rugby World Cups. If you have alumni information, stories or photos to share, please e-mail the team at ww_rfc AT yahoo DOT com. Our annual tradition of a joint alumni weekend with the University of Wisconsin Women’s Rugby team to celebrate 43 years of women’s rugby in Madison, Wisconsin. Our two teams started as one team in 1975 and continue to represent Wisconsin on a regional and national level. The 2018 Alumni Weekend will place Saturday August 25. A social outing will take place Saturday evening following the annual alumni match earlier that day. More details to come! Alumni weekend will always be held the weekend before Labor Day Weekend.